Below are "Prayers of Increase" that were texted from the congregation on Sunday, July 8, 2018. 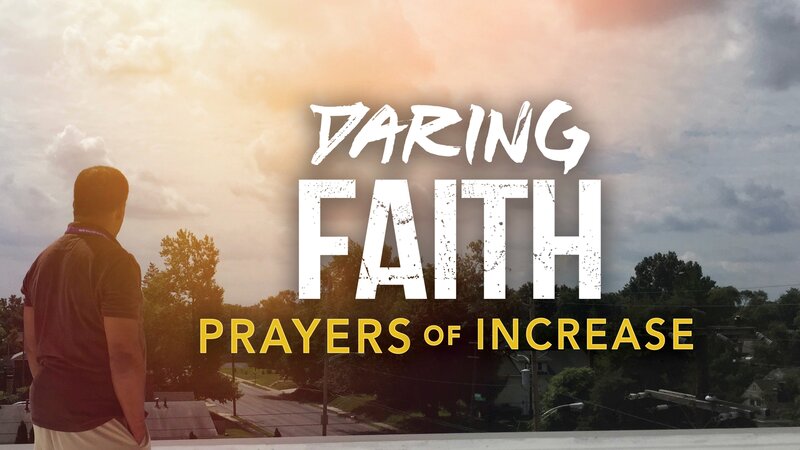 Together we lift up our "I" goal of the Daring Faith Campaign, which is to "increase our domestic and foreign missions by 50% in order to expand our global impact and address critical life-changing needs around the world." 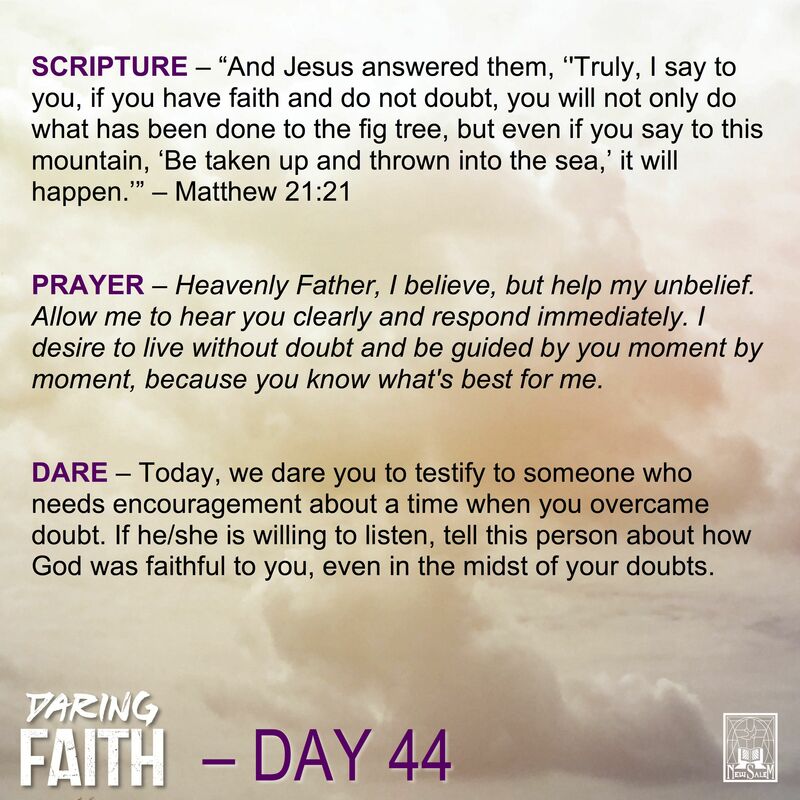 This Daring Faith Devotional, "A Dare-A-Day" is an opportunity for us to stimulate and strengthen our faith each day. 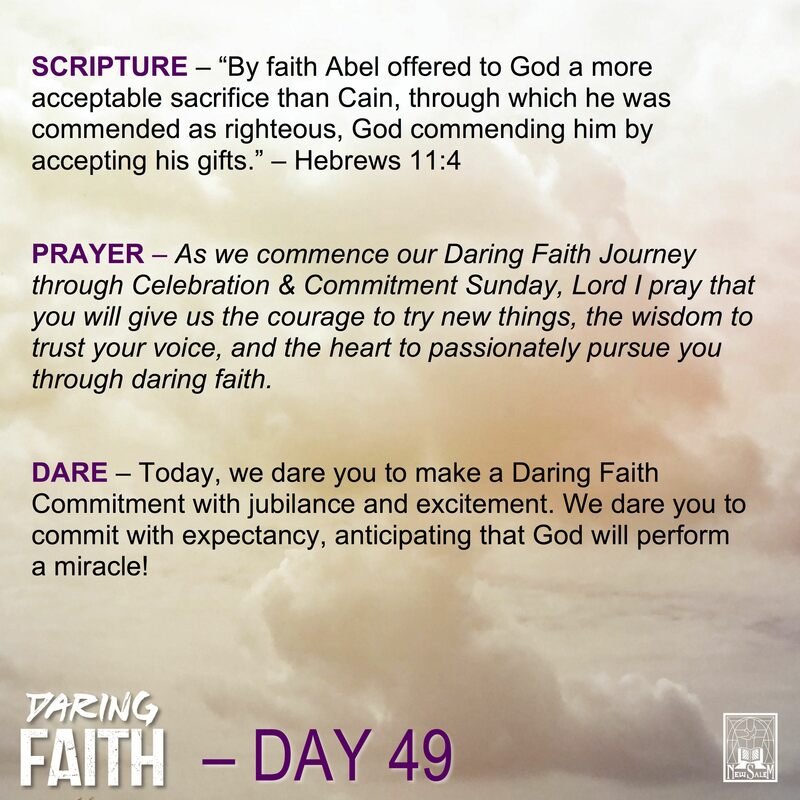 To receive these devotionals every morning of the campaign, sign up online or text @idareyou to the number 81010. Please respond to the welcome text that you receive from Remind.